I sell, for personal use and enjoyment, large, high quality, color and B&W prints of various subjects (I concentrate on military airplanes, airliners, historical aircraft, warbirds, historical reenactors, statuary, maritime photography, people, and landscapes) at fair prices with a money back guarantee, and, so far, everyone has kept what they have bought from me (as of May 2015). I also license CLOUD 9 pictures for commercial use. My quality control is stringent. I strive to build an enduring relationship with my customers based on trust, responsive good service, and highest quality. Q1. Does CLOUD 9 offer a money back guarantee? Q2. If CLOUD 9 offers a money back guarantee, what are its terms? If the CLOUD 9 PHOTOGRAPHY product you ordered is delivered damaged, is lost in transit, you never received it, the weather damaged it on your front door before you came home, a thief stole if off your porch, the color palette does not please you, or if you are unsatisfied with your order for any reason you are 100% fully protected. Your order is guaranteed by CLOUD 9 PHOTOGRAPHY and my excellent partners at SmugMug! Your fault? CLOUD 9's fault? Our lab's fault? The postman or delivery service's fault? The weather's fault? Or a thief stole your order after it was delivered before you took possession of it, it's all covered! You are fully protected. You enjoy a comprehensive No-Argument-Free-Replacement-or-Full-Money-Back-Guarantee. To take advantage of this guarantee you only have to contact CLOUD 9 PHOTOGRAPHY or contact the Support Heroes at the SmugMug Helpdesk within 30 days with your order number, and we will honor our guarantee to you! 2. Contact the SmugMug Support Heroes. Click here. 3. Contact CLOUD 9 PHOTOGRAPHY. Click here. To trigger your guarnatee rights, please contact us promptly. We are eager to resolve the problem to your complete satisfaction! Q3. How many people have asked for a refund? I started CLOUD 9 in 1981 selling wet chemistry photographic prints via mail order from a catalog. From 1981 to as of March 2015, one person asked for a refund. I started CLOUD 9 on the Internet in 2005. From 2005 to date, no one has asked for a refund (as of May 2011). Q4. How do you resolve a customer's "lost" or "damaged" print claim? If you tell us what you ordered was never delivered or was delivered damaged we will trust you and honor our guarantee. Q5. How good is Cloud 9's quality? Click here to read testimonials from some of our satisfied customers. Our quality control is stringent. All products are made by a world-class professional photo lab. Q6. Do CLOUD 9's prints have the look and feel of real photographs? Many look better than custom photo lab prints. This is because I do the printing and I are persnickety. Q7. Are CLOUD 9's prints like thick fine art prints or thin posters? If poster means a mass produced, inexpensive, thin paper, large image, of mediocre quality, CLOUD 9's pictures are not posters. Our prints look and feel like high quality, custom, photography printed on thick, fine art, museum grade, paper. Q8. Will all of CLOUD 9's images enlarge to your largest size and still look good? Approximately 95% of CLOUD 9's pictures, by all contributing photographers, will enlarge big and look good to great, and many will look pin prick sharp even when viewed up close. Almost 100% of all pictures credited to me will enlarge to my largest size and look awesome. This is because I am skilled, I use professional equipment, I often use a tripod, and I enforce stringent standards. Q9. How can I tell what images are not suitable for extreme enlargement? If a customer orders a print in a size that I believe is too large for that image's inherent qualities, I will warn the customer that it would be prudent to stick with a smaller size, and I will refund the difference in price paid if the customer accepts our recommendation. If I do not give the customer such a warning, that is our way of telling the customer the image may be enlarged as big as the customer wants and still look good. Q10. How sharp are CLOUD 9's prints compared to what I see on my monitor's screen? Sharper. I reduce the sharpness and details of images posted on the Internet to frustrate those who would use them without paying for them. Most of our images will appear to be crisp and pleasing to most reasonable persons who view the image at a reasonable viewing distance. A small percentage of our images are not pin prick sharp. Q11. How accurate is the color in CLOUD 9's prints? Sometimes, however, before I send the digital file to the custom photo lab for printing, I slightly manipulate color with a bias for color saturation or to brighten colors when they look dirty or oxidized. An expert at the custom photo lab also closely inspects every image to ensure color correction. Q12. Are there black or white specs, lint, or "grit" marks on CLOUD 9 prints? No. I take the time to get rid of those gremlins, even it if takes three or more hours to do so. That behind-the-scenes service is part of what you pay for when you buy high quality from CLOUD 9. Q13. On what type of material are CLOUD 9's images printed? CLOUD 9's images are printed on a variety of paper, with different finishes of your choice [flat, luster, and high gloss], plus a a wide variety of other material, such as canvas, metal, mugs, mousepads, and aprons. Q14. How delicate is a CLOUD 9 print? Our paper is resistant to physical damage when handled carefully and kept dry. It is Ill suited for large format photographs. The ink is water soluble; therefore, it is imperative that the print(s) be kept dry. Q15. What type of a finish is on a CLOUD 9 print? You have a choice between matt, luster, and high gloss. A matt finish has no gloss and no reflective glare or polish. A luster finish is an excellent compromise half way between glossy and matt, and that finish kills the harsh glare of a glossy print and retains ability to show a fine detail. CLOUD 9 images can also be printed on canvas and metal [with your choice of finish], plus three dimensional objects, such as mugs. Q16. How susceptible to showing finger prints are CLOUD 9's prints? The paper I use is finger print resistant; however, it is best to handle these prints with clean hands [washed and dried thoroughly immediately before handling, preferably while wearing clean cotton gloves.] It is also best to handle the prints by holding them outside the print image, which is why each print is provided with excess blank white paper. Q17. Is text printed on CLOUD 9's prints? There is a modest amount of small, professional looking, text printed on one line on the image side of all CLOUD 9 prints. The size of this text is scaled [in proportion to] the print's size. This text identifies the subject, contains a photographer credit or a source credit, a copyright notice, CLOUD 9's Internet address and our product number. This text is printed in a place that does not distract from enjoyment of the image, normally at the bottom of the print, to the extreme right or left side. The text's color, normally black, varies, to contrast with but also blend with the image's colors. Q18. Can you personalize a CLOUD 9 print by putting customized text on it? Yes. Please call me, Peter Mancus, CLOUD 9's owner, at (707) 703-9210 to discuss. Q19. Can a CLOUD 9 print be bought with customized text on it, such as for a birthday or a retirement present? Q20. Do CLOUD 9 prints have a watermark? Q21. How long will a CLOUD 9 print last? Henry Wilhelm, the primary author of the 744 page The Permanence and Care of Color Photographs: Traditional and Digital Color Prints, Color Negatives, Slides, and Motion Pictures, is an expert regarding print archival longevity research. Anyone who wants detailed, current, objective information on answers to questions like this one should read Mr. Wilhelm's book and study what is available at his website, www.wilhelmresearch.com. CLOUD 9's prints, under normal conditions, if not abused, should last as long as or longer than It chemistry prints. This stability can be increased by keeping the prints inside, free of moisture, away from extreme heat or direct sunlight, and framed under UV resistant glass or in a closed, clean, acid free, box or inside archival grade binders. Q22. What size prints does CLOUD 9 offer for sale and at what price? CLOUD 9 PHOTOGRAPHY's artwork is offered for sale in pre-determined sizes which aesthetically enhances the artwork. The aspect ratio for most of our images is 3:2. 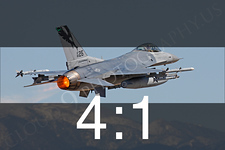 Aspect ratio means the picture's width compared to its height, expressed as two numbers separated by a colon, with the largest dimension stated first, for horizontal and vertical images. Example: 3:2. About 96% of CLOUD 9's images are offered at a 3:2 aspect ratio. In our sophisticated Check Out you can, however, hover a mouse over the image you want, see many other aspect ratio versions of the same image, and make your own choice, keeping in mind that the aspect ratio you select will crop [cut away and leave out] some of the original image. If you place an order using an inappropriate aspect ratio your order will be printed in the largest size that most closely approximates your selection, within the price you paid. Q23. Why does CLOUD 9 promote big prints? Yesterday, for example, I made three 2 feet x 3 feet prints ordered by a customer. The impact of these big prints is awesome, and that is not hype or puffing. On one of these big prints, I could read the name and rank, plus "danger", plus the serial number, stenciled on the side of a U.S. Navy F-18 Super Hornet, in flight! On another, I could read "Boeing" on the side of a 737 airliner, even though I was approximately 1.5 miles away when I took the picture! There is something magical about big prints and that magic is in proportion to their size-the bigger the better. If, for example, one wants to get a realistic feel for what a modern jet fighter in full afterburner is like, order a big print. Do that and, when you look at one of our afterburner pictures, you can almost hear the jet engine's deafening roar and feel the heat! Also, if you order a close up of the head of one of our lion or tiger pictures, it is awe inspiring to see, up close, their eyes, whiskers, and teeth, in sharp, lush, rich, detail. To behold one of these magnificent big prints is akin to standing face to face with one of those powerful big predator cats. I want to bring out the magic-and the fine detail-of our images, and the only way to do that is to print big. I cannot stress enough that viewing a big CLOUD 9 print triggers a delightful, "up on cloud 9 feeling". Q24. Is it possible to buy a CLOUD 9 bigger than your standard biggest size? Larger sizes, including extremely big, are possible, but require a special order. Please feel free call me [Peter Mancus] at (707) 703-9210 to discuss your particular needs, at no obligation to you, or email me at pmancus@comcast.net . Q25. What is sold at these prices? Prints made to exacting standards for personal use only. Q26. How can you justify these prices? Most reasonably constituted persons look for three things when buying something of value: 1) the finest quality, 2) the best service, and 3) the lowest price. Most people, however, have never found a company that will provide all three at the same time. A person can have two of those three, but not all three at the same time. Which of those three are you willing to give up: Highest quality? Best service? Lowest price? It is an economic truth that it's seldom possible to get the most or the best by spending the least. If you do not value quality or want to skimp on quality, fine. I, at CLOUD 9, however, will never compromise quality. Quality and rarity, individually, and together, command a premium. CLOUD 9 is for those who have discerning taste, who value perfection, and who can afford the best. Almost anything can be made cheaper-and ruined. I, however, am obsessed with the pursuit-and achievement of, perfection. One either appreciates, and can afford perfection, or not. I are determined to cater to our specialized niche, namely, persnickety people who demand and who are willing and able to pay for the best. I refuse to cheapen our product so more people can afford it. Someone had to offer the images for sale to the public, and this Internet site has costs tens of thousands of dollars to design, build, maintain, and improve. Take away any of the above steps and CLOUD 9's product is not publicly available. 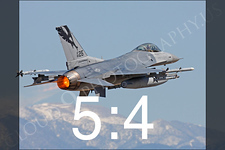 There is also one additional important consideration: I at CLOUD 9 supply the image that gets printed, and often, thousands of dollars Ire spent and many hours of time Ire invested, to get that image that I supply. There is a huge difference between a person supplying his or her own image and I supplying our image. Furthermore, since CLOUD 9 also offers a money back guarantee, I have to maintain uncompromising high quality, and high quality drives the price up. Quality, however, is valued and is long remembered after price is forgotten. When one gives due weight to these considerations, CLOUD 9's prices are low, reasonable, and easily justified. Q27. What does a customer buy when they buy a CLOUD 9 print? The prices quoted on this Internet site for CLOUD 9 prints are strictly for non-commercial private enjoyment of such prints. All photographs appearing on this Internet site, except for the few that are in the public domain, are non-public domain pictures protected by U.S. copyright laws. They shall not be downloaded or reproduced in any way without the written permission of Peter J. Mancus, Owner, CLOUD9PHOTOGRAPHY.US or the applicable photographer or both. Q28. Do you ever sell a high resolution digital file for a CLOUD 9 picture? Generally, I do not sell all rights to an image, but I do license limited rights to use an image commercially subject to agreed to terms, reduced to writing, and pre-payment in full. I recommend that a person who wants to use a CLOUD 9 picture commercially license an image instead of buy it. This is because a license can be had for less money and will accomplish the same purpose in most cases. Q29. What do you charge to license for commercial use a high resolution digital file for a CLOUD 9 picture? How do you want to use the image(s), for example, Ad? Magazine? Brochure? Book? Other? How large do you want to reproduce a CLOUD 9 image? How large of a digital file do you want from me in terms of size and DPI quality ? What is the size of your print run? Distribution? Where will you use the image(s), namely, geographical area to be covered? In what form will you use the image(s): Print? Electronic? Both? What rights do you desire: U.S. only? World-wide? Exclusive? Which languages? Duration: From when to when? Number of times: How many times do you intend to use the image? What is your true deadline for needing to get the image in the form you request? Candidly and accurately, what are the odds that you anticipate doing repeat business with CLOUD 9? Time frame? Number of subsequent orders? Frequency of orders? Estimated total dollar amount to be spent over that time frame? What are you willing to pay for the licensed usage rights you want? Are you willing to pay the full agreed to price in advance before I send you what you want? 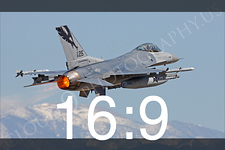 Are you agreeable to include the URL for www.cloud9photography.us as the supplier of the image? NOTE: These notices can be in small font size that does not interfere with enjoyment of a picture if they are readable on the picture or near the picture. The licensee must agree in writing to let CLOUD 9 post a picture on the CLOUD 9 Internet site of the licensee's use of the CLOUD 9 picture. Q30. Does CLOUD 9 have periodic sales where prints are sold at a discount? I do not have a "yo-yo" discounted "sale" policy. CLOUD9 will never sell its prints at a discounted price to an ordinary customer, namely, a person who buys a low volume of prints for personal use on a one time or infrequent basis. If you have delayed buying from CLOUD 9 with the hope that you will some day be able to buy a CLOUD 9 print at a discounted price, you are waiting for something that will never happen. Special sales with discounted prices present these problems: 1) they induce customers not to buy at regular prices; 2) they suggest that a business that discounts its prices has regular prices that are too high; 3) customers, after a special sale is over, tend to avoid a business with a reputation for having periodic "sales," and continue to avoid that business until it has another sale with discounted prices; 4) once a business gets a reputation for having periodic discounted prices, that business, to maintain volume and income stream, has to run what amounts to an almost continuous sale with discounted prices; 5) a business that embraces discounted prices as a marketing strategy has to continue discounted prices because the withdrawal symptoms are difficult to overcome; and 6) discounted prices tend to kill off a business person's incentive to provide the product because such a marketing strategy is not profitable. Q31. Is it possible to obtain a discount on a volume purchase of CLOUD 9 prints? Please contact me, CLOUD 9's owner, to discuss. My contact information is stated below. Q32. Can you help me find what I am looking for? If you cannot find a certain kind of picture that you are looking for, please email me, Peter Mancus, CLOUD 9's owner, at pmancus@comcast.net, about what you are looking for, or call me at (707) 824-1884, which is in Northern California, to discuss. I have tens of thousands, perhaps a hundred thousand or more, of military airplanes, airliners, and warbirds to upload to the CLOUD 9 Internet site, in color and B&W, plus thousands of pictures of other subjects to upload. If you don't see on CLOUD 9 what you want, I might already have it, I might be able to photograph it for you, or one of our Contributing CLOUD 9 Photographers might have it and contribute it to make it available for sell to you. Q33. What form of payment does CLOUD 9 accept? CLOUD 9's Check Out is sophisticated. It accepts payment in U.S. currency made with credit cards, plus it automatically handles all currency conversion issues regardless of where the buyer is in the world. If you need to pay without using the automated Check Out, please contact CLOUD 9's owner, Peter Mancus. Click here. Q34. Does CLOUD 9's Check Out automatically and accurately handle currency conversion? Q35. What is normal delivery time? Delivery time is a function of: 1) Your form of payment (personal checks delay delivery time. The product will not be shipped until I have notification that your check cleared our bank. Payment via PayPal speeds up delivery time substantially); 2) What you ordered; 3) Whether you gave us any alternative selections (a customer who gives me multiple "alternative selections" substantially increases the odds of enjoying a much faster delivery) from which to satisfy your order; 4) How much you ordered; 5) Constraints on CLOUD 9's owner's time dictated by his responsibilities and health, and whether he is on a trip; 6) Time required to fill previous orders; and 7) If I encounter production problems. CLOUD 9 prints are custom made, one at a time, and are carefully inspected before shipped. They are not mass produced, in advance. At CLOUD 9, "Good enough." is not! The goal is: "Perfection." I normally ship about 5% of all orders within 48 hours of receipt of an order; about 15% within 9 days of an order; about 70% of all prints within 2-4 weeks of an order; and about 5% within 4-7 weeks of an order. Q36. Is "rush delivery" available? It depends on variables. There might be an additional "rush delivery" charge. To find out, call me, CLOUD 9's owner, Peter Mancus, to discuss. (707) 824-1884. I do our reasonable best to get prints sent in time for birthday gifts, retirement gifts and Christmas, etc. Many people, however, procrastinate and place an order too late. What Can a Customer do to Speed Up Delivery? Q37. What can a CLOUD 9 customer do to minimize mistakes and delay? Do the following [where appropriate]. Give us "alternative selections" to print in case I have a problem with the one and only CLOUD 9 Product Number you specified. Q38. What are the odds that a print will be crushed during transit? I use United Parcel Post tested and approved, expensive, industrial strength mailing tubes with plastic end caps that resist crushing. No customer has reported a crushed print. Q39. Do you ship to nations around the world? The American dollar is so depressed now [as of June 2011] that non-Americans can now buy CLOUD 9 prints at an approximate 50% discounted price due to a currency conversion rate in their favor! Use of PayPal will easily take care of all currency conversion issues. Depending on the country, special arrangements might have to be made for additional postage. Q40. If I have a problem, complaint, suggestion, or want a special service, who can I contact at CLOUD 9? Q41. I am a collector who intends to acquire many CLOUD 9 prints and not frame them. What do you recommend I do so I can protect my prints, look at them frequently, and handle them frequently without damaging them? I recommend you do what I do. Get Itoya "Art Profolio Evolution Presentation/Display Books". These are perfect for fine art and photographs. Put your prints in one or more of these books. Go to www.itoya.com for more information. Itoya's 13" x 19" size Presentation/Display Book, Itoya Product Number EV-12-13, is perfect for CLOUD 9's 11.5 x 17.25 inch prints, with a small white border around same. These Itoya products have desirable features: Durable cover; crystal-clear, top-loading, abrasive resistant, pocket sheets; thick, black, acid-free, mounting paper; 24 pages for 48 prints-two in each sleeve; lie flat with open; and low cost! You can also stack many of them on top of each other without damage! I, at CLOUD 9, love these things. They are functionally perfect and cost effective. Cost effective ways to store-or display-prints are: A) Put them in a box with a lid, preferably an acid free box; B) Put them in a "Presentation Portfolio Book"; C) Put them in hinged, pre-cut, photo-ready mats; D) Put them in thin, flexible, see through, sealable and re-open-able, protective plastic bags; and E) Have the print laminated with thin or thick lamination. Thick lamination is better to reduce bubbling. You can get these storage materials at better photography stores and via the Internet. Clean, wash, and dry your hands and forearms thoroughly. No one with a cold, running noise, or who sneezes a lot, should handle the print. Peel off the scotch tape that holds the plastic end caps to the tube. If a plastic end cap will not come out easily, use pliers to grab the tab on the cap and pull the cap out. Once a plastic end cap is removed, gently tap the open end on a clean, dry surface to nudge the print toward the opening. Carefully pinch the white margin around the image and carefully slowly pull the print out of the tube. If you feel like you are going to sneeze, turn your head and sneeze away from the print and cover your nose. If a sneeze droplet gets on a print, let it dry. An attempt to remove the droplet might smear the ink. Carefully put the print into whatever storage device you selected. If you follow this advice, a CLOUD 9 print should give you decades of enjoyment. Q42. What are your recommendations for having a CLOUD 9 print framed? Have the frame shop person use archival [acid free, long lasting] materials and UV [ultraviolet] resistant glass or acrylic to protect the image from UV light. If you follow this advice the print should last for years. Q43. Are you available for special assignments for compensation? I offer well honed skills, expensive professional photography equipment (examples: Professional extreme wide angle to extreme telephoto lenses, professional large digital capture, professional digital film scanning, and professional large printing), and an excellent "eye" to accommodate almost every need. I am capable of producing museum quality, pin prick sharp, excellent, static, artistic, and dynamic action, large, color and B&W prints or digital files, subject to a license arrangement. Please feel free to call me [Peter Mancus] at (707) 824-1884 to discuss your particular needs, at no obligation to you, or email me at pmancus@comcast.net . Q44. If I hire you to take pictures for me will you surrender to me your entire copyright of the pictures you take for me? If I did that that would reduce me to being "a day laborer" and I would be giving up "my children" [my pictures/my work product/my cerebral-creative "blood"] to you, forever, with me retaining nothing but your green money. I will not do that. I would entertain doing that only if you paid me a fee so high you would have to be nearly insane to do that. It is not in your best interest to try to reduce me to "day laborer" status. When I know I have that status, it is hard for me to stay "pumped", focused, hard driven, and determined to squeeze out the best creative work I can produce. The good news is: If someone thinks enough my work to pay for my time and my expenses to take pictures for them, without demanding that I surrender my entire copyright to them, I will be equitable with them and I will grant them liberal license rights to use the pictures I took for them, calculated to satisfy their every conceivable need for my pictures. Q45. What can I do to support CLOUD 9 Photography? Buy CLOUD 9 prints frequently. Show CLOUD 9 prints to others. 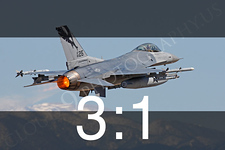 Encourage people with webpages to do an on line review of CLOUD 9 and to link to www.cloud9photography.us . Give me candid, brutal, constructive, feedback. Tell me what you don't like, do like, and recommend. If you write me a testimonial, please include written permission to use it, with your name, job title, community and state on our webpage. If you have one or more images of the quality I am trying to sustain, please share it with me and allow me to use it commercially. Become a Contributing CLOUD9PHOTOGRAPHY.US photographer and allow me to show case your work and market it commercially. If you are a warbird pilot, invite me to go flying with you for some air-to-air photography. If you are in the Armed Forces, invite me to photography your unit and its equipment. Q46. Which subject matter will CLOUD 9 concentrate on the most? I will, however, also emphasize animals, historical reenactors, statuary, scenics, and maritime photography. Q47. I am a warbird pilot. 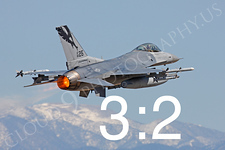 Are you receptive to trading flights to photograph my warbird for CLOUD 9 prints? Or for digital images of my airplane? Q48. What is the proper jurisdiction [court] for resolving a dispute? The odds of formal litigation being required to resolve a dispute with me or with CLOUD 9 are nil. However, anyone who does business with CLOUD 9, via its owner, me, in any way, does so subject to this condition: They irrevocably agree that they have made an informed consent decisions that the exclusive proper place for resolution of a formal legal dispute of any kind, if any, shall be, and is, in Sonoma County, California, United States of America, which is approximately 60 miles north of San Francisco, California. (707) 824-1884 to ask it or email me at pmancus@comcast.net .